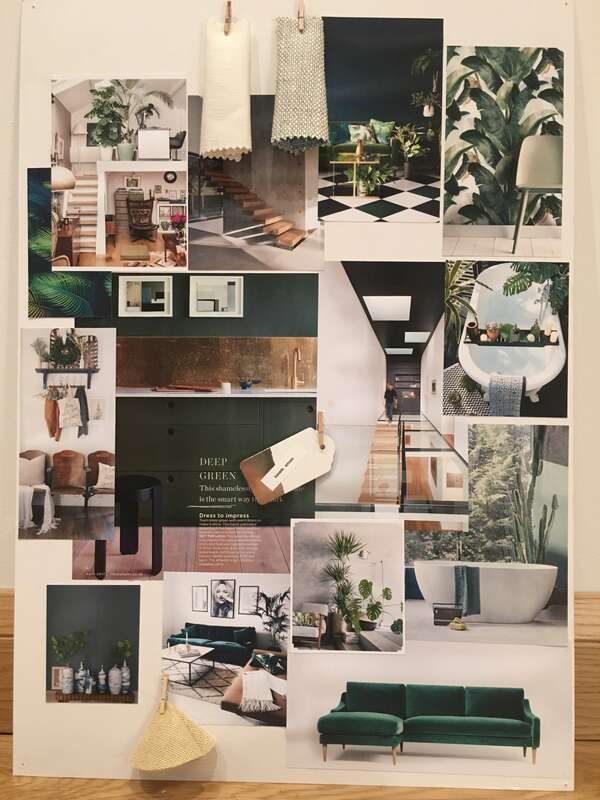 When we’re not busy working on the latest staircase renovation project, it’s important for us to keep up-to-date with any new trends within the industry. We also need to finding our own inspiration so that we can remain at the forefront of any innovations. Fortunately, inspiration isn’t hard to come by in the world of design! In fact, we often find that we end up with an overload of ideas. 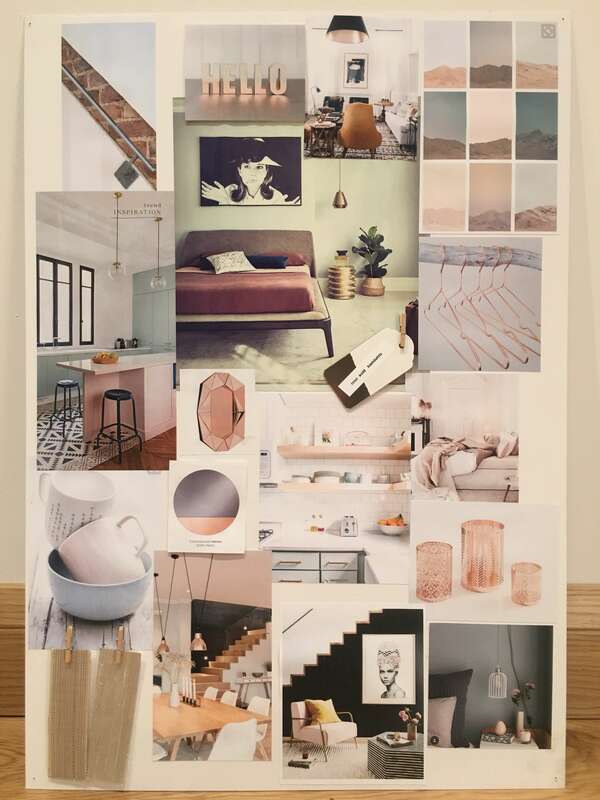 That’s why we love a good mood board here at Jarrods. 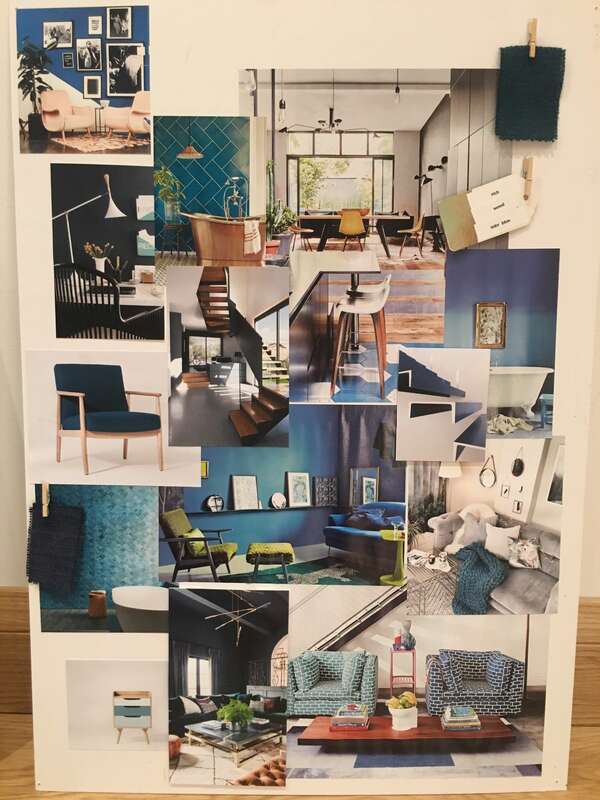 Whilst we love Pinterest and are regularly pinning away, having a physical tactile board helps us to finalise and refine concepts for our customers to spark their inspiration as well as our own. 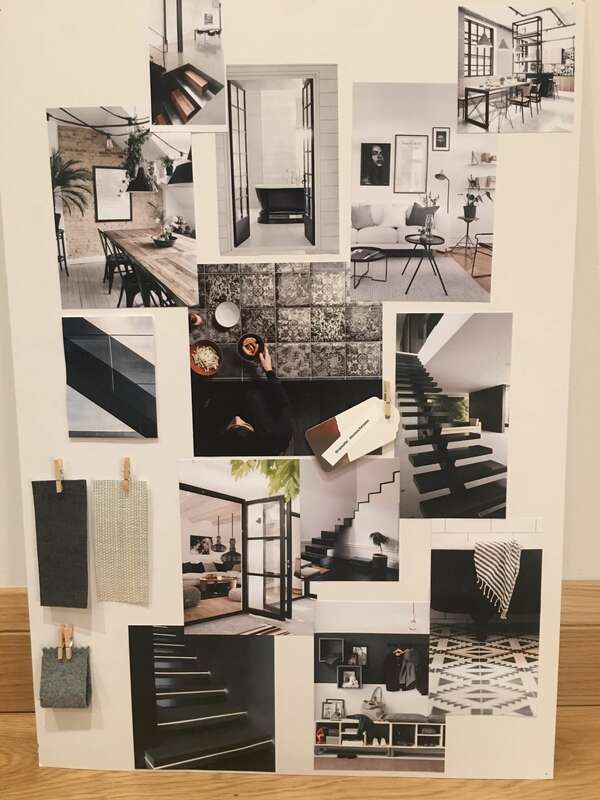 Our customers are often fascinated and inspired by our mood boards. 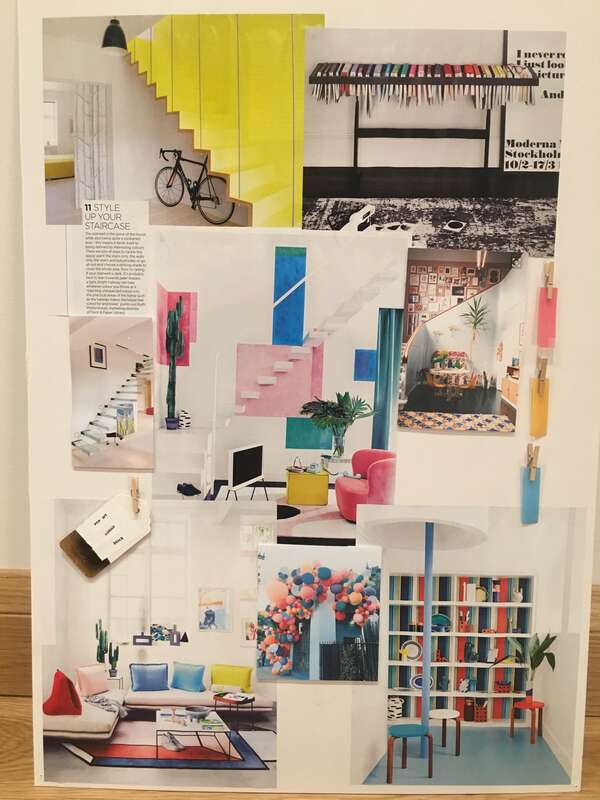 With this in mind, our new staircase designer, Lauren, has collected together a few of the boards she’s created, inspired by our favourite spring trends. Fresh, vivid and invigorating, this is one of our favourite hues for adding a splash of colour to interiors at the moment. Although this is a fairly common combination, there’s still something striking about a monochrome interior to add a touch of interest to a minimalistic hallway design. We love the clean, modern designs that are common in Scandinavia. The contemporary feel of oak and glass perfectly complements this minimalistic style and creates a real ambience. The bold and vibrant colours used in these designs feel instantly modern and instil a sense of quirkiness and fun into any living space. This is the perfect trend for anyone that wants to make a bold first impression. Inky blue is a unique yet striking way to add some colour to your home. We love how it looks when used in small doses and can really breathe a breath of fresh air into contemporary living spaces. Rose gold is one of the hottest trends of the moment and it’s not difficult to see why. It’s the colour of the moment and perfectly accentuates modern interiors with a chic vibe. 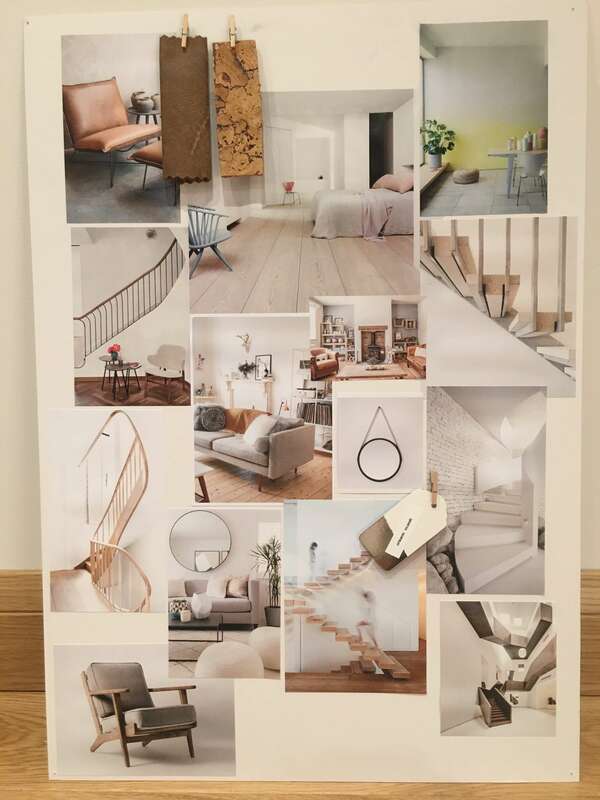 If our mood boards have left you feeling inspired, get in touch with our team today to discuss your options.